Have had two for over a year and love them inside outside or anywhere I want great sounds. The quality of sound is great. I own Harman/Kardon & Bose all around my house but because the AR Santa Clara are so easy to move around I just love having them with me out gardening, cleaning car etc.. 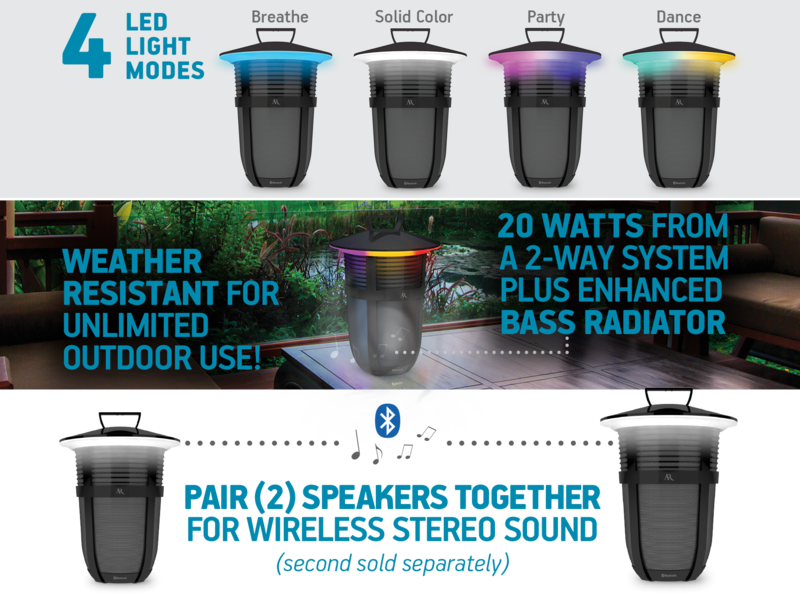 I bought 2 speakers (both playing in stereo mode) for my 4th of July BBQ. Started playing them 10 1/2 hours ago and they are STILL playing! Incredible... Paid $100 each and they are well worth it. Simple speakers just for around the house or yard but have great sound and worth the $.